We’re finishing our conversation with Dr. Jeff Chadwick, a New Testament scholar at BYU. We’ll talk about what he calls, the myth of the lambing season. How cold is it in Israel in December? Jeff: The average day in Jerusalem in December and January is partly cloudy with green grass and jacket temperatures, nothing like the winters of Utah and Idaho. That brings up another thing and this is what I call the myth of the lambing season. Jeff: Yeah, because, you know, the idea that Jesus was born in the Spring, was not unique to Latter-day Saints in the 1800’s. Others were suggesting this as well. Protestant writers in America familiar with freezing North American winters, because they were usually from New England or somewhere like that, couldn’t imagine how shepherds could be in the fields abiding by their flocks in December, “Aww, just much too cold. No shepherd could be out with his flocks in December,” they ruled. So, it must be in the springtime because spring is when the lambs are born and since Jesus was the lamb of God, that’s when he would have been born, too, is in the spring. This, of course, plays in really well with the tradition among the Latter-day Saints that Jesus was born in April. The problem is it’s an entire falsity. The reason why is that shepherds did and still do go out with their flocks all Winter long. 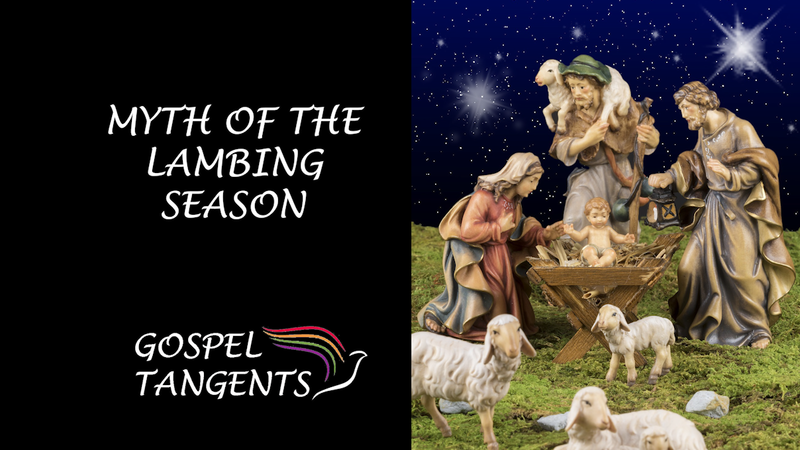 I have stood in the fields outside of Bethlehem on several Christmas Eves because I get to be there from time to time and the shepherds are out there with their sheep and little lambs have been born already in December. They don’t wait. Now here in our climate, just because of the way that the lambs and the sheep bear, they’ll wait until it’s a little warmer and they’ll lamb in March and April. But that’s not the way that it works in the holy land because the climate doesn’t require it. Biology works partially because of its climate. Would shepherds really be in their fields in December? Isn’t it too cold for that? Check out our other conversations with Dr. Chadwick!